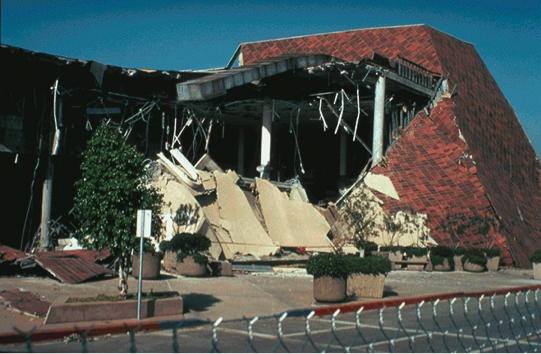 The January 17, 1994 magnitude 6.7 Northridge earthquake beneath the San Fernando Valley resulted in the costliest natural disaster in U.S. history (until Hurricane Katrina in 2005). For the 10 million people who experienced this quake, it remains powerfully in our collective consciousness. Fast forward twenty years to January 17, 2014 and beyond. The Northridge 20 Virtual Exhibit website presents teachable moments – to learn and reflect, to share and to act. Teeming with content, graphics and video recounting the events of January 1994, this exhibit seeks to empower and motivate us to make ourselves safer in future earthquakes. Calendar of Events: Activities commemorating the anniversary. Advances & Lessons Learned: Earthquake science, engineering, and policy advances and lessons learned over the past 50 years. Ground-Shaking Stories: 30-second videos of people throughout southern California telling their stories of how they felt the Northridge earthquake, linked to a map of the recorded intensity of shaking at each location. Northridge Near You: What if a Northridge-sized earthquake happened near you? See 3D animations of faults producing potential earthquakes, the patterns of shaking for each, and potential casualties and economic losses. Northridge Facts: What happened 20 years ago. Resources: Science, engineering, and preparedness documents, videos, and other resources.